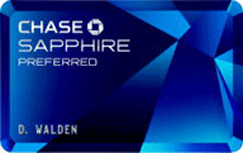 This post is for Chase Sapphire or Chase Sapphire Preferred Card cardholders. Chase has a nice promotion where you can earn triple points (normally just double points) at restaurants on the First Friday of the month for the rest of the year. So if you like to eat out on Friday nights be sure to use your Chase Sapphire or Chase Sapphire Preferred. You can also offer to pick up the tab for all your friends and have them give you cash so you can earn even more every First Friday of the month. This is a fun promotion to be aware of if you weren’t already. I know I use my Chase Sapphire Preferred all the time for dining because of the 2x point dining bonus. If you don’t have a Chase Sapphire Preferred card, it’s definitely a card for your wallet and not the drawer. It does have a very nice sign up bonus of 40,000 points too. Check out the chart below and see all you can do with the Ultimate Rewards points you can earn with this card. Order a cash back check – 1,000 pts = $10.00, 10,000 pts =$100.00 & 100,000 pts = $1,000.00. Pay yourself back – Turn your points into a credit on your credit card. 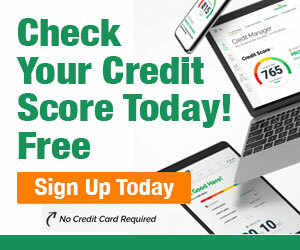 You designate how much the credit you will need and transfer the points. No fee to transfer points. American Express charges $6 per 10,000 points transferred. 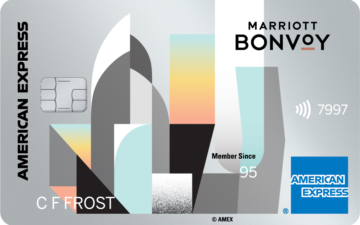 You don’t need to register an account prior to transferring points like with AMEX. You can transfer to anyone’s frequent flyer or reward account. Not just your own. This is sweet! Points from their Ultimate Rewards Mall posts within the week and you receive an email confirming those points. Sometimes you have to wait forever for points to post and end up having to email vendors to get your points. Chase is really on the ball on this. You can also transfer points to your Ultimate Rewards account from other Chase cards like the Chase Freedom card. The Freedom card is meant to be a cash back card but you can transfer your points to your Ultimate Rewards account. The Chase Freedom card also does quarterly category bonuses for spending. 5% categories every 3 months like gas stations, restaurants, Amazon.com, department stores, and movies. These can really add up and be transferred to your Ultimate Rewards account and at your disposal for all your travel needs. If you change your mind and want cash, don’t fear because you can also receive a cash back check sent to you from your Ultimate Rewards account too. Lastly, the Chase Freedom is a no annual fee card so you can hold on to this one. Another great card that earns you Ultimate Rewards points is both the Chase Ink Bold Business card and the Chase Ink Plus Business. Both of these cards come with a great sign up bonus of 50,000 Ultimate Rewards points. The power of these two cards is the ability to earn 5 points per dollar on the first $50,000 spent annually at office supply stores, and on cellular phone, landline, internet, and cable TV services. This would total 250,000 Ultimate Rewards points per year if you max out this benefit. All business owners would be very wise to run as many of their expenses through this card. I was just discussing the power of this card with a friend at a party this weekend. Little did she know that her husband with his concrete business could be using a card like this to earn a huge amount of points each year; 250,000 points to be exact. Or 500,000 points per year if she also had a Chase Ink Bold or Chase Ink Plus. Remember creative people are the winners in most things in life. The same applies in the mile and point hobby. So you might be wondering how does a concrete contractor maximize his earnings with a card like this? Well, the Chase Ink Bold or Chase Ink Plus are a contractors dream. Every contractor I know shops quite often at a big store called Home Depot. Now most every office supply store I’ve ever been in sells Home Depot gift cards. Are you following…….? The contractor simply goes to Office Max, Staples, Office Depot, etc. and buys X amount of Home Depot cards that he needs that week for supplies with of course his Chase Ink Bold/Plus card. This earns him 5 points per dollar and all materials his company buys at Home Depot. Then he takes those cards to Home Depot and buys his supplies. Keep in mind, retail gift cards like a Home Depot card or other retail store cards have no additional fee like Visa/AMEX gift cards do. There you have it! A match made in heaven. So always think outside the box and you’ll see the gems in life! Now is also a great time to get the Chase Ink Bold or Chase Ink Plus because Chase has recently reduced the minimum spend required to receive the 50,000 bonus points to only $5,000. In the past, the minimum spend has been $10,000. This minimum spend is much quicker to achieve and especially with the creative tools I talk about here. 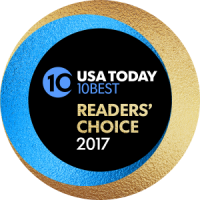 The Ultimate Rewards program is quite superior to many other programs right now even it’s big competitor Membership Rewards through American Express. If you aren’t collecting Ultimate Rewards points, you definitely should be because of the redemption flexibility this program offers. You are in a box with so many other programs but not the Ultimate Rewards program.